For those looking to dip their toe in the water, our introduction to Forex trading covers all the critical basics for beginners plus a few of the advanced topics. We start with ‘What is Forex’ and move all the way down to swap and rollover rates. Towards the bottom, you will see one of the most popular and frequently asked questions, which relates to margin FX trading examples. Spend some time on this page and feel free to get in contact if you have any questions. Our team is here to help in understanding the Forex market. The global foreign exchange (“FOREX”, “Forex” or “FX”) market is the largest market in the world, with more than $5 trillion daily turnover dwarfing the combined turnover of the world’s stock and bond markets. For this same reason, private investors and individual traders have entered the market and discovered several advantages – many of which are not available in other markets. What are the Features of Trading Forex? Aggressive investors are attracted by the volatility of the Forex market and the opportunity for substantial profits, particularly when using leverage. Please note: The effect of leverage is that both gains and losses are magnified. You should only trade if you can afford to carry these risks. Online trading, web-based research and analysis combined with competitive pricing have made the market more accessible. Hundreds of thousands of informed individuals, businesses and investment funds actively trade Forex. This means that anyone from beginners to experts trade daily. Our Forex Smart Guide is intended to give you a greater level of transparency into trading CFDs and Forex. This Information should be considered in conjunction with our Product Disclosure Statement and Financial Services Guide and is not designed as a replacement. This booklet is a guide to help you in understanding the Forex market. Beginners and novice traders are always curious to learn how to trade Forex in both practical and analytical terms. When it comes to FX trading, it’s important to develop a strategy that works for you. This can be done by combining thorough research and practising with a free demo account. Our guide on forex trading for beginners allows new traders to develop their skills. Which is the Best Platform for Forex Trading? MetaTrader 4 is a leading forex trading platform that allows beginners and experienced traders alike to conduct fast trades, adequately analyse the market, and use a platform that’s efficient and reliable. Offering a free demo account, MetaTrader 4 can be the perfect introduction to forex trading for beginners, as they can experience real trading experiences at no cost. 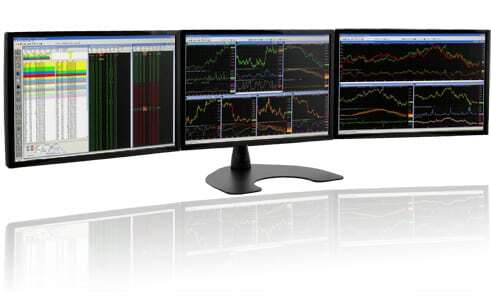 MT4 also offers advanced charting options, mobile platforms, and the ability to trade Forex, indices and commodities. GO Markets will automatically exchange your profits and losses into your deposit currency. When trading Forex, investors are quoted a dealing spread, which offers a buying and selling level for the trade. When clients are wanting to sell a currency pair, they are interested in the Bid price. Alternatively, when clients are wanting to buy a currency pair, they are interested in the Ask price. The Bid price is always lower than the Ask price. The difference between the Bid and Ask price is known as the Spread, which is usually measured in pips. The dealing spread for major currencies can range according to market liquidity, however you will find major currencies typically range between 0.5 – 2 pips. For example, when AUD/USD is trading at 0.71358/0.71376, the spread is 1.8 pips. One of the key aspects of Forex trading is the ability to trade using “leverage”. It determines the required margin and amount of funds traders need to have in their trading accounts in order to take a position. Put simply for beginners, leverage allows you to take a position of much higher value than the monies deposited in your trading account. So in other terms, a higher leverage means a lower margin requirement to place a trade. How Does Leverage Work When Trading Currencies? You have a trading account with GO markets with a balance of $10,000. If you have a trading leverage of 100:1 and wish to use $1,000 on one single transaction as the margin, then you will have an exposure of $100,000 in your base currency ($1,000) = 100 x $1,000 = $100,000 (trade value). The concept here is that leverage has allowed you to make a transaction with a total exposure of $100,000. Thus, the leverage facility allows you to potentially make large profits (or losses) from a relatively small initial investment. Forex trading is normally undertaken on the basis of ‘margin trading’. A relatively small collateral deposit is required in order to initiate much larger traded positions in the market. Margin trading demands a disciplined approach and a solid understanding of the risks involved. Beginners should ensure they understand all risks fully before undertaking margin trading. Please note the following assumptions: · On the MetaTrader 4 platform, 1 lot (contract size) equals 100,000 of the base currency. Profit is calculated by (close price-open price) x contract size. A client buys 1 lot of AUDUSD at 0.75250. The position is closed at 0.75480. Profit/loss is calculated as (0.75480 0.75250) x 100,000 = USD230. The position is closed at 0.88030. Profit/loss is calculated as (0.88030 0.87900) x 50,000 = GBP65. A client sells 0.5 lots of AUDJPY at 85.927. The position is closed at 85.682. Profit/Loss is calculated as (85.927 – 85.682) x 50,000 = JPY12,250. The profit/loss is converted to the account currency by the following calculation: 12,250/85.682 = AUD142.97. It must be pointed out that it is extremely imperative to understand the risks involved in Forex trading for beginners using high leverage. Traders must find the appropriate level that suits their trading style, as the effect of leverage is that both gains and losses are magnified. Many FX traders use Expert Advisors (EA’s) to trade on MetaTrader 4, and popular EA’s often include money management tools designed to place the correct trade volume based on the size of the account. However, not all EA’s feature these tools, so it is important that traders always manually supervise the trading activities on their accounts and make any margin payments as they become due. Our GO Markets MetaTrader 4 platform has been designed to effectively monitor and allow you to control risk exposure, making forex trading for beginners even easier. Based on each client’s margin requirement, the platform will calculate both the funds needed to retain your current open positions and the funds required to enter into new positions. However, as stated above, it is the traders’ own responsibility, not GO Markets, to continually monitor their positions. If the equity in your trading account falls below the margin requirement, a ‘margin call’ will ensue, and we may close all your open positions to limit your risk to usable margins. When you buy or sell a currency pair and hold it overnight, a Swap or Rollover fee may be paid or charged to you. This is the funding (interest) component which is needed to maintain your position. The amount of which you receive or pay will depend on the relative interest rate yield of each currency in the traded pair, among other important considerations such as money market rates and liquidity provider charges. Spot FX and Metals trades are settled two business days from the entry date. As trading through GO Markets does not involve physical delivery, all trades left open at the end of a trading day (23:59:59 Platform Time) will be rolled over to the next day and as such will have exposure to a swap charge or credit. It is important for beginners to note that the rollover at the close of Wednesday’s trading will be three times the usual amount. This charge is market convention, accounting for weekend settlement. GO Markets swap rates are calculated using a consensus of our upstream liquidity partners and may be adjusted both positively and negatively in the interest of competitiveness and/or local costs. Swap rates for individual currency pairs and metal contracts can be viewed by referring to your MT4 Terminal – right click on Market Watch, left click on Symbols, then choose a currency pair, CFD or precious metal of your choice, followed by Properties. Rates shown are expressed in ‘points’, where 1.0 point is equal to one tenth of 1 Pip.